Choosing an area of emphasis—instead of a major—puts the power in your hands. You can choose to focus your studies in a particular area or areas with an area of emphasis. What you call this is totally up to you. Like declaring a major, it gives you a shorthand way to describe your education. Unlike a major, you choose it near the end of your schooling. You could choose a traditional title like Psychology or History. Or you could create a title that reflects the specific focus of your studies—something like Media and Culture, Social Justice, or Somatic and Consciousness Studies. 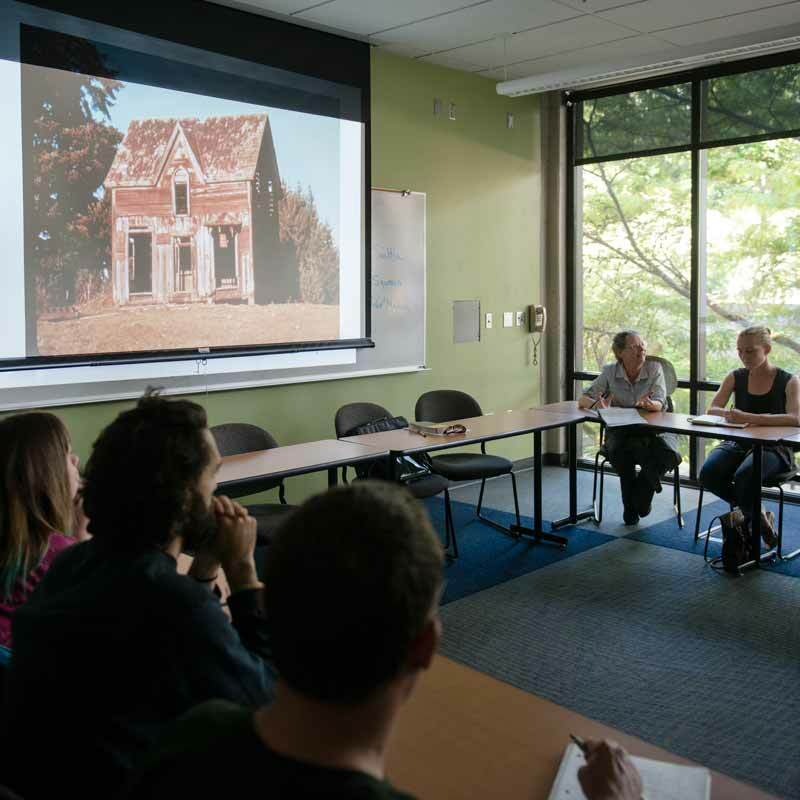 See what Fields of Study are taught at Evergreen. I love to see students developing their own work, which doesn’t mean finding a major. It’s more than that. It’s being able to understand what’s really important for you to study and to pursue it. While the title of your area of emphasis doesn't appear on your transcript, you can use your Academic Statement to describe your area and how you developed it. Traditional colleges have it backwards. There, your major tells you what classes you’ll have to take. Here at Evergreen, your area of emphasis describes the studies you’ve already chosen. If your goals change in the middle of your studies, your area of emphasis can too. All the credits you’ve already taken still count toward your degree. There’s no need to catch up on a checklist of new prerequisites! Since every credit counts, you can complete your education faster and pay less tuition! How to choose and declare an area of emphasis. Not everybody knows what they want to do right away, and that’s totally fine. If you want to figure out how your credits fit into an area of emphasis, visit the Career Development Center. You can also contact Academic Advising for help planning which programs will best fit your intended area of emphasis.